Dec. 4-5—KILLINGTON—The Vermont Holiday Festival returns to Killington on Friday and Saturday, Dec. 4 and 5 with its glittering Festival of Trees, the magic of Santa’s Workshop, and a bustling schedule of activities and musical performances. The Grand Ballroom at the Killington Grand Resort Hotel will be transformed into a winter wonderland as 100 uniquely decorated holiday trees fill the venue with the sights, sounds and scents of the season. Now in its 11th consecutive year, the annual Vermont Holiday Festival is produced by the Killington Pico Area Association. 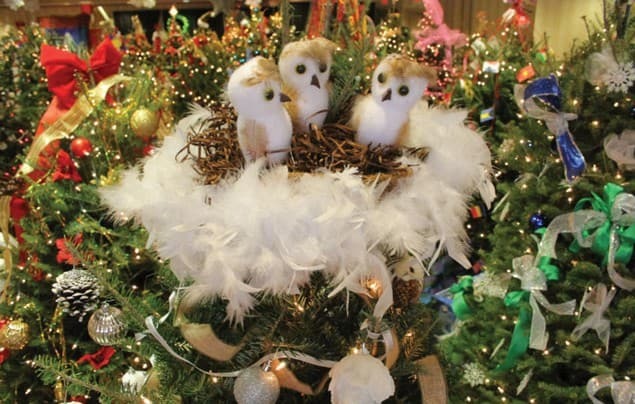 The centerpiece of the Vermont Holiday Festival is the Festival of Trees, featuring a unique collection of one-of-a kind Christmas trees decorated by local businesses and raffled off at the conclusion of the festival. Festival attendees may purchase raffle tickets throughout the weekend for a chance to win their favorite tree. Winners are drawn during the Festival Finale Saturday night beginning at 7:30 p.m.
Live musical performances from area school groups include Killington Elementary School, Barstow Memorial School, and the Rutland Youth Theater performing songs from “Elf, the Musical.” Other features of the festival include the Jack Frost Marketplace, a holiday shopping component featuring Vermont specialty products ready to be taken home for family gatherings, parties or gifts, and free horse-drawn sleigh rides. 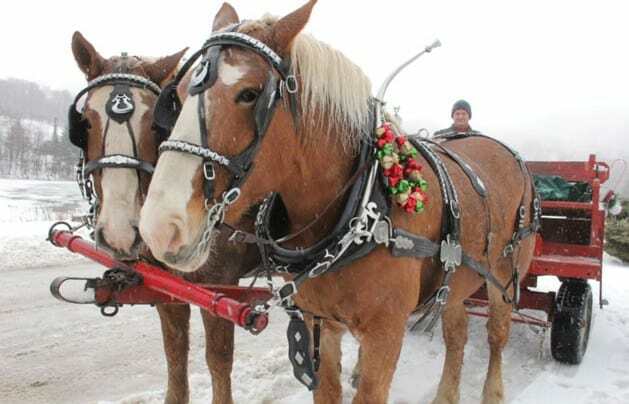 Admission to the Vermont Holiday Festival is $10 for adults, $5 for students, and free for children ages 12 and under. Or bring a non-perishable food item to benefit the Vermont Food Bank Friday night and admission is free. Festival hours are Friday, 4 to 8 p.m. and Saturday, noon to 8 p.m.
Children are invited to attend Santa’s Workshop, which will be hosted at multiple times each day. Each workshop is one hour long and includes a handcrafted toy, a Christmas story reading and a visit from Santa and his elves. Admission to Santa’s Workshop is an additional cost of $10 per child. For more information, a detailed schedule of events or to buy advanced tickets, visit www.killingtonpico.org or call 802-773-4181.